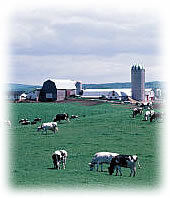 The Brunet Insurance Group understands farmers’ unique insurance needs, as we have been servicing our farming community of Eastern Ontario (mainly the Stormont, Dundas, and Glengarry counties) for the past 25 years. This is why we represent insurance companies that offer the following. Personal & Family Protection: Because the success of every farm enterprise centres on the people who plan and produce the land, the most important asset on the farm is you and your family. Contact us today to find out what kind of protection is available.